Lock in a great price for San Juan Water & Beach Club Hotel – rated 8.3 by recent guests! The staff at this hotel were very friendly and helpful. They made the stay very pleasant. The front desk staff were able to check us in early. The bartenders were friendly, as well. 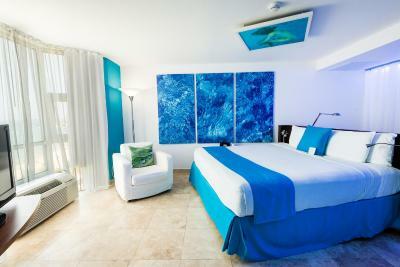 The hotel was completely renovated and trendy! I liked the placement of our bed and the water in the elevator! Staff were excellent. All bilingual, helpful and nice. We were here for wedding last year and decided to come back. Love this place. Location good. Staff excellent. Rooms comfortable. 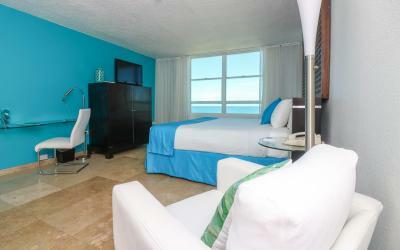 Staff, location and included beach access with chairs and towels made this an overall great stay and value. Great location, steps away from the beach. Great view from the room. Spacious room. Nice atmosphere. Great restaurant in the property. The location is great and so is the little rooftop bar. 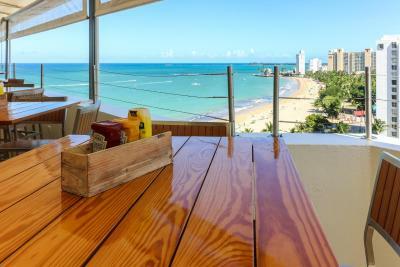 The location on the beach was great and the food at the rooftop bar was nice. I enjoyed the rooftop pool and bar. During the day, it was a nice place to get lunch, and take in the sun. In the evening it was a great place to have a cocktail, take in the breeze and the sound of the surf. Rooms were clean and comfortable. I like that I had a bathrobe to use. A bit of a cool, hip vibe to the place. Water wall in the elevator! 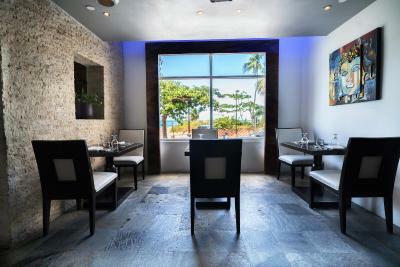 Good location on the beach, and restaurants within walking distance. The best thing about this hotel was it was close to the beach. 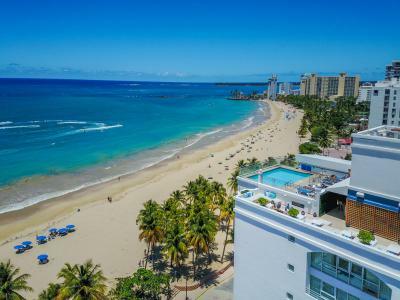 San Juan Water & Beach Club Hotel This rating is a reflection of how the property compares to the industry standard when it comes to price, facilities and services available. It's based on a self-evaluation by the property. Use this rating to help choose your stay! 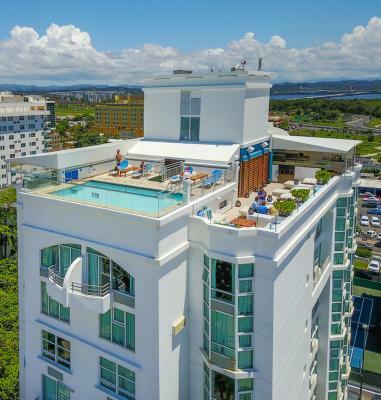 Less than 5 minutes' drive from San Juan International Airport, this boutique hotel offers a rooftop pool, on-site dining, and rooms overlooking the beach and city. 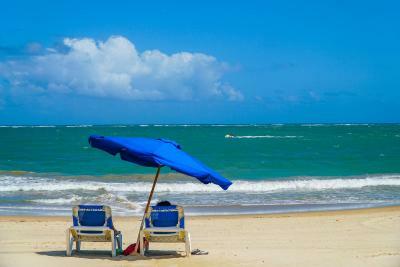 It is a 10-minute drive from San Juan's old town. 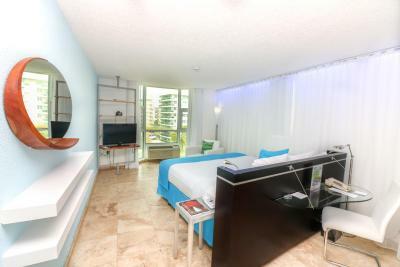 Each stylish room at San Juan Water & Beach Club Hotel has a flat-screen TV and iPod docking station. 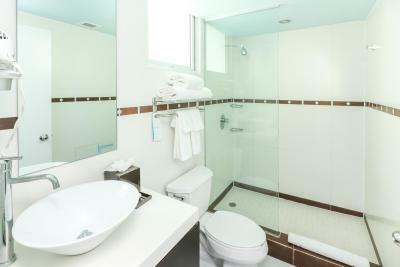 They feature tile flooring and floor-to-ceiling windows. 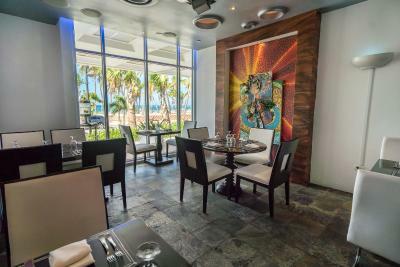 A fusion of Island-Italian-Spanish cuisine is served at the stylish Mist Lounge, while Zest restaurant offers modern Haute Puerto Rican cuisine from award-winning Chef Raúl Correa. 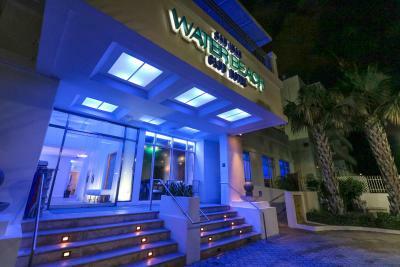 The Puerto Rico Museum of Art is 3.1 mi from the San Juan Water Beach Club. San Juan Resort and Casino is less than 0.6 mi away. 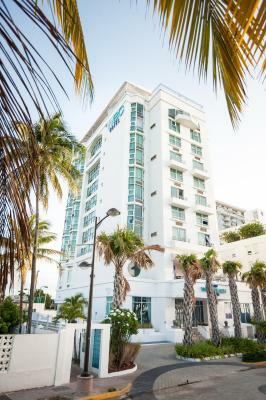 This is our guests' favorite part of San Juan, according to independent reviews. 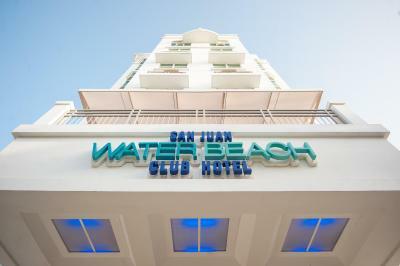 When would you like to stay at San Juan Water & Beach Club Hotel? 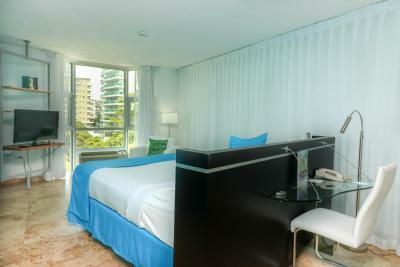 This spacious room features a king bed with a pillow-top mattress and offers views of San Juan. 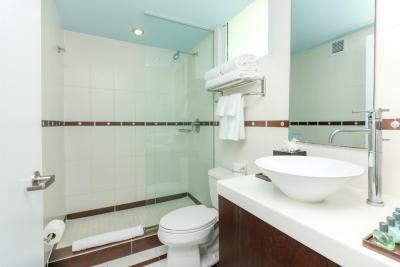 In-room amenities include free Wi-Fi and beach towels. 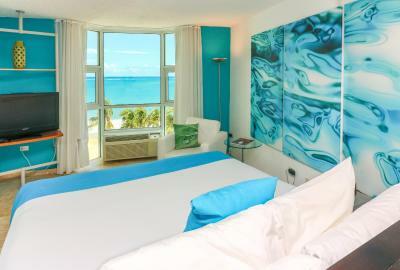 This contemporary room features a flat-screen TV and views of the ocean. 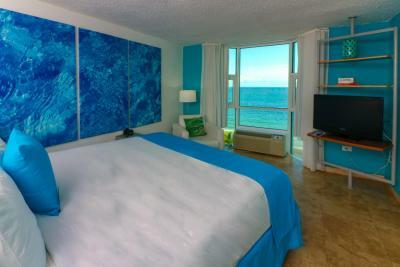 This spacious room features a king bed with a pillow-top mattress and offers spectacular views of the Atlantic Ocean. 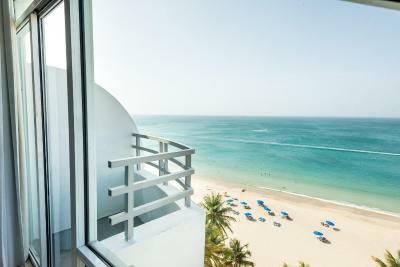 In-room amenities include free Wi-Fi and beach towels. 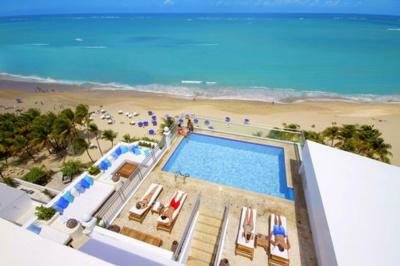 House Rules San Juan Water & Beach Club Hotel takes special requests – add in the next step! 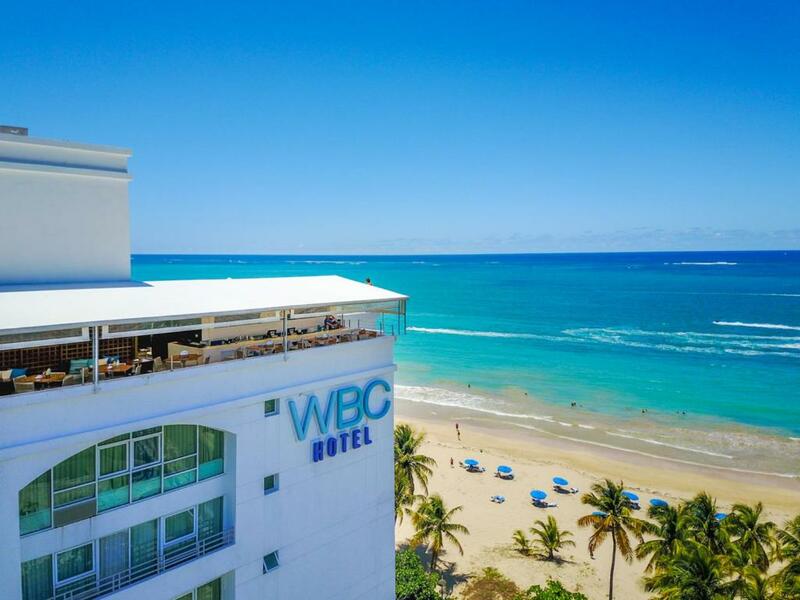 San Juan Water &amp; Beach Club Hotel accepts these cards and reserves the right to temporarily hold an amount prior to arrival. 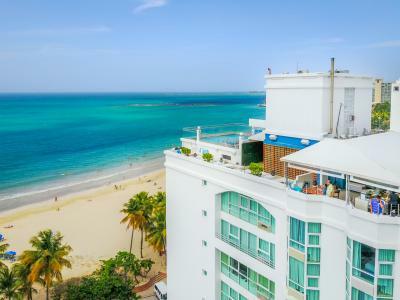 San Juan Water & Beach Club Hotel accepts these cards and reserves the right to temporarily hold an amount prior to arrival. 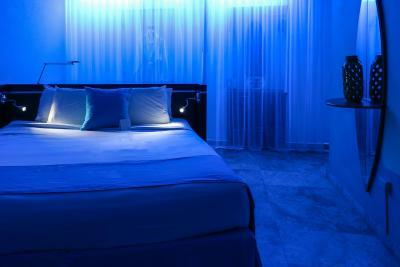 The guest must present the credit card used for the deposit upon arrival at the property. If the card is not available at check-in, a refund to that card may be issued and the deposit may be taken on the card made available by the guest at check-in. 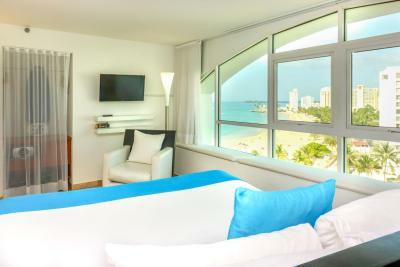 The service charge includes complimentary beach amenities. Extra beds and cots are available on request. Please note that this property is 100% nonsmoking. 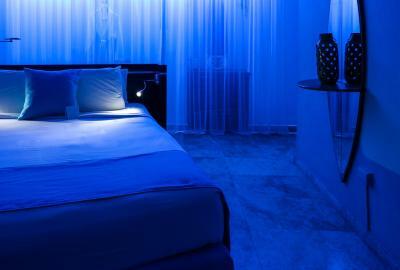 Any guest found to have been smoking in the room will be charged a USD 200.00 cleaning fee. I paid for a ocean view and it was not really that. I could kind of see the ocean from the window. The room was odd-the bed sat in the middle of the room at an angle. I’ve come here for a week for 5 years. The service is good, but the facility is a little worse each year. The ac unit is loud and the ceiling over the unit is dirty. Lots of little things in the bathroom (peeled caulking, low shower pressure). The location is awesome. Bed is comfortable. Price was too high for somewhat dated, sparse room and view of dirty rooftop. Beach and beach chairs included. Could use a little sprucing up. Rooms are set up with an unusual bed location and gym is too small. The roof top bar and swimming pool area.